Size 24 of this colour will ship close to Aug 6, 2019. Learn More about special orders. 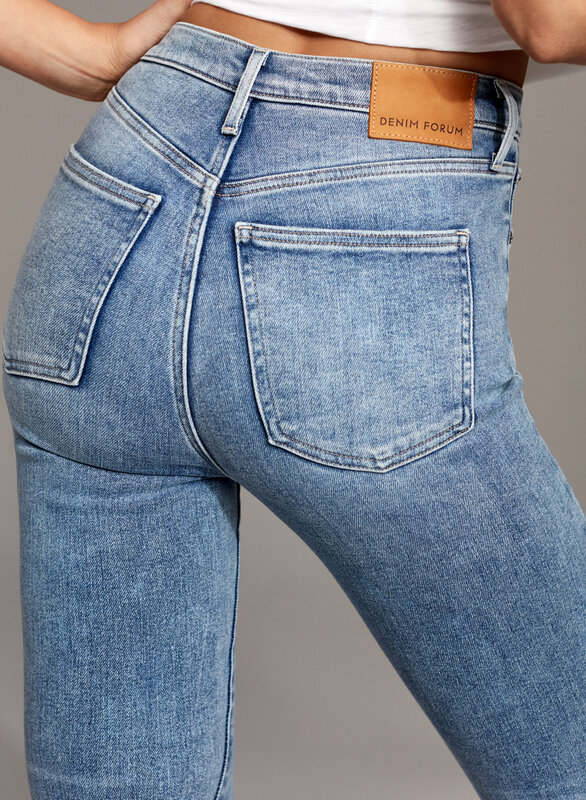 Channel your inner rock-and-roll muse in the Lola, Denim Forum’s signature high-rise skinny. The Lola’s Best Asset™ fabric creates a lifting effect. Premium organic-cotton denim from Italy means this pair will only get better with time. 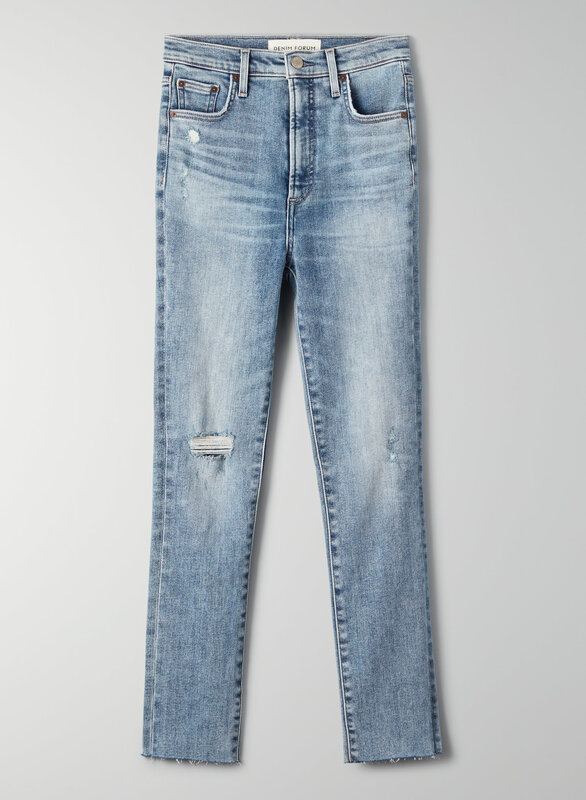 This version is cropped to hit above the ankle and comes in a medium blue wash with fading throughout the leg, distressing at the knees and a raw hem. T-shirt is stylist’s own.